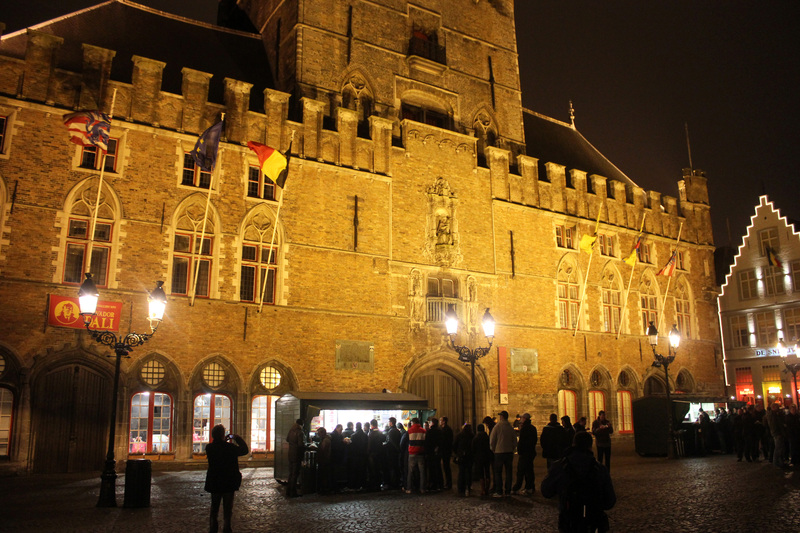 Just a stone’s throw away from each other, Burg Square and Markt Square are two of the most frequented spots in Bruges. 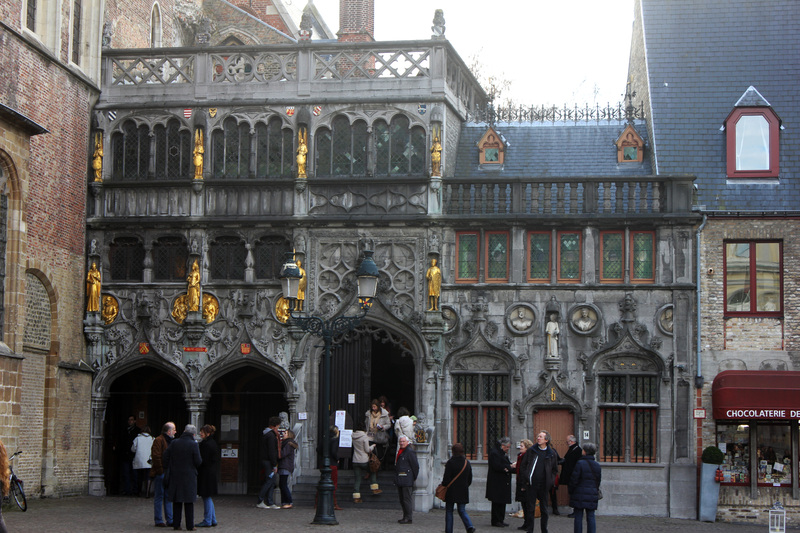 Although Burg was originally the town’s main square, Markt holds that title today. That being said, both squares have plenty of praiseworthy features. 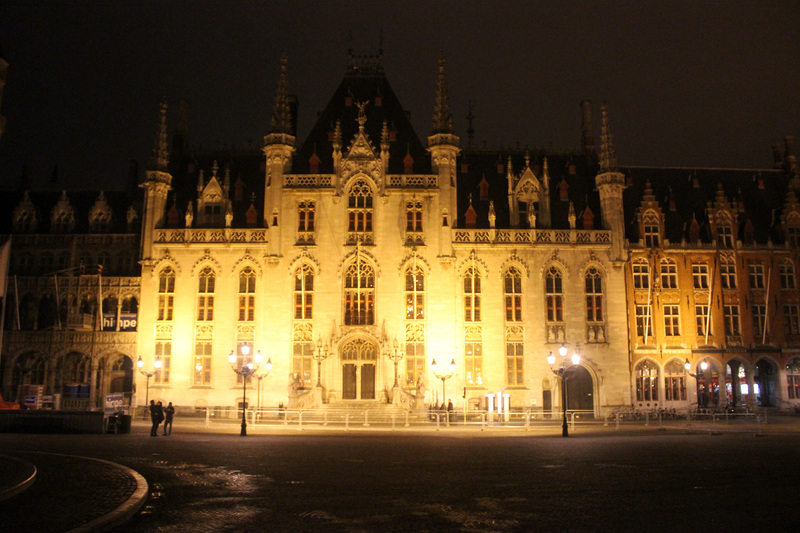 Burg Square might be small in size, but it’s pretty huge in history. 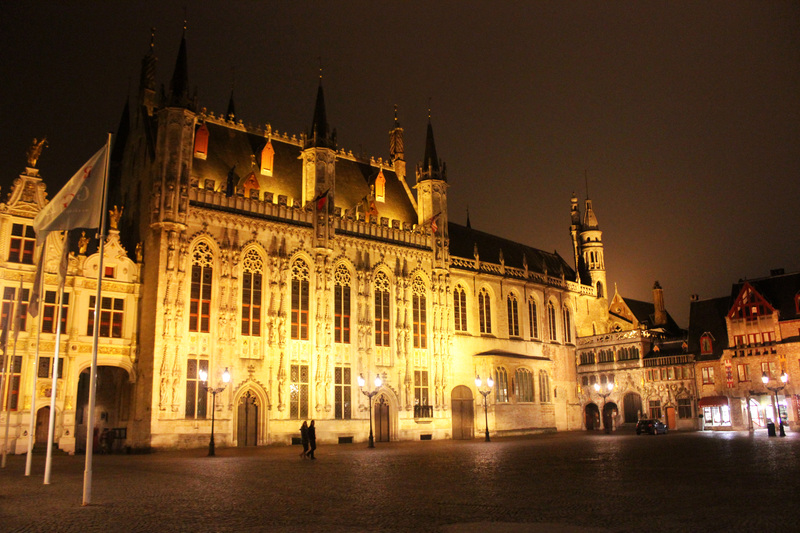 Among the square’s handful of old buildings are the Bruges Stadhuis (City Hall), the Old Civil Registry, and the Basilica of the Holy Blood, where you can see the blood of Jesus! (If you’re into that sort of thing). Burg Square was also the site of public executions, the most recent of which was in the mid-19th century. 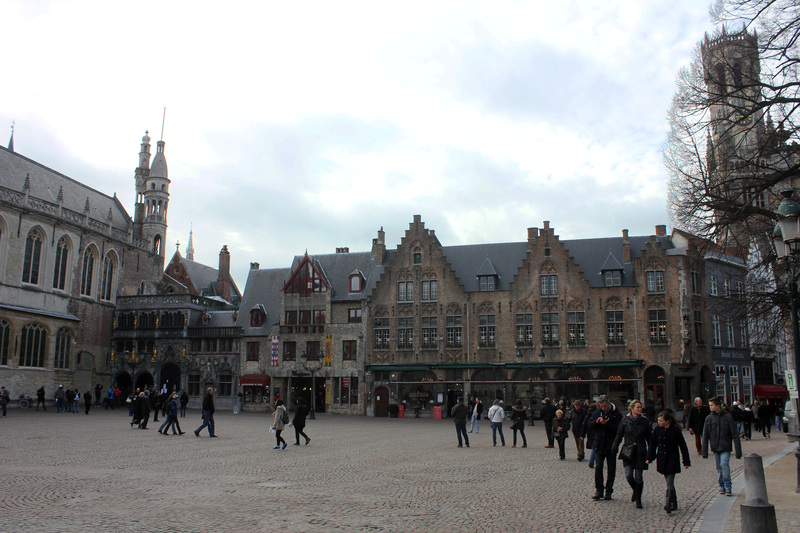 Right around the corner from Burg is Markt Square, Bruges’ busiest area. 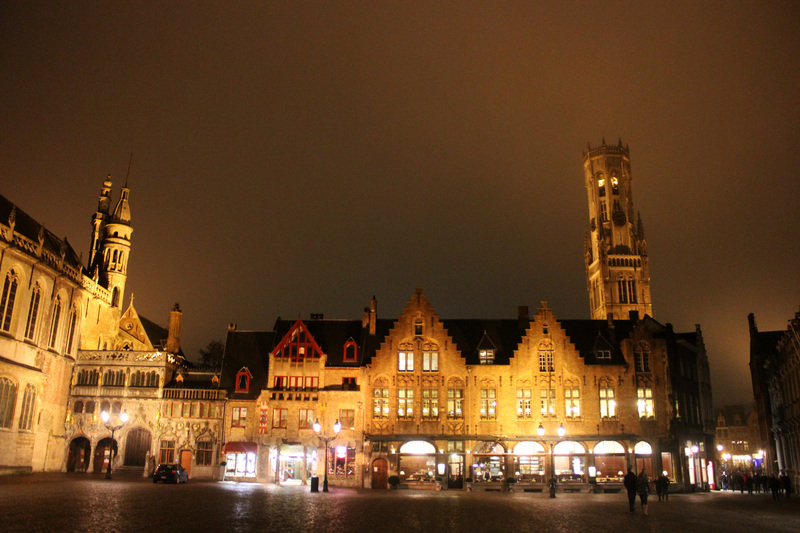 Populated by shops, restaurants, bars, and people, Markt Square lies right in the center of Bruges. Every Wednesday morning, the square is home to a local open-air fresh meat and produce market. 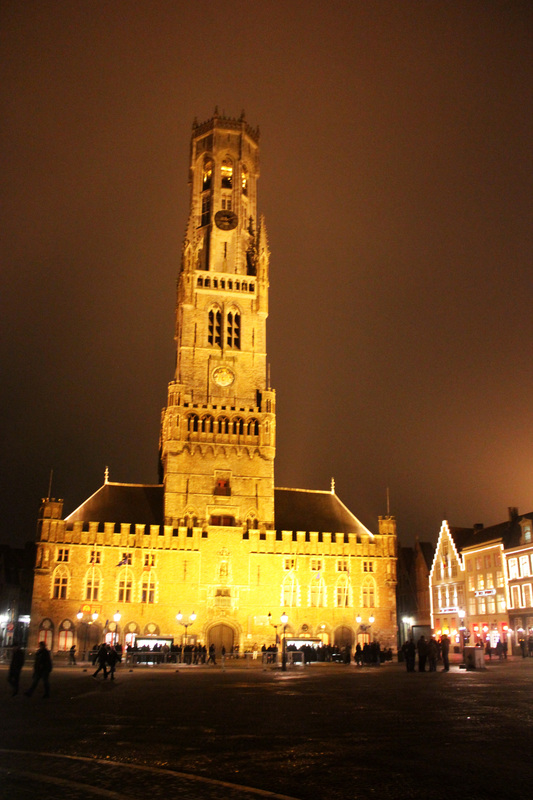 Markt square’s most prominent feature (and perhaps the city’s as well) is the 13th-century belfry bell tower, also known as Belfort. Unnoticeably leaning one meter to the right, the Belfort stands tall at 83+ meters high. 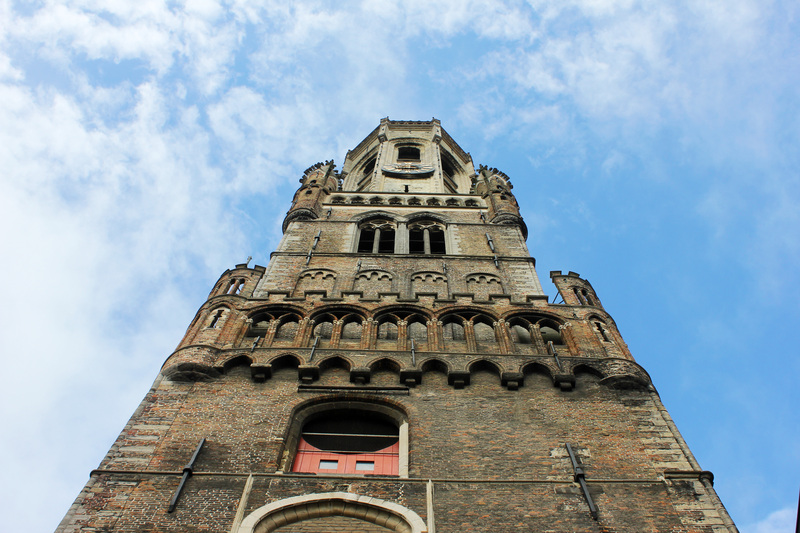 366 steps lead visitors to the top of the tower for a 360° panoramic view of the city. 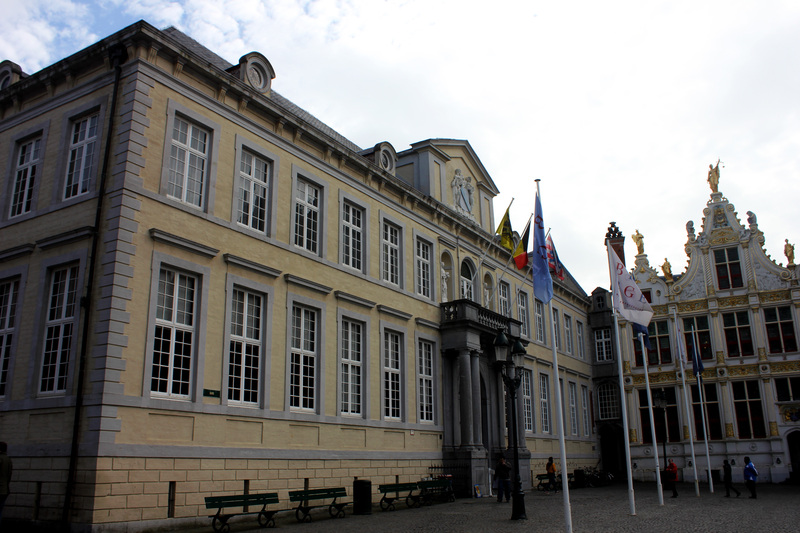 The tower has been used for a number of security and military purposes in its history, but today it houses a museum. 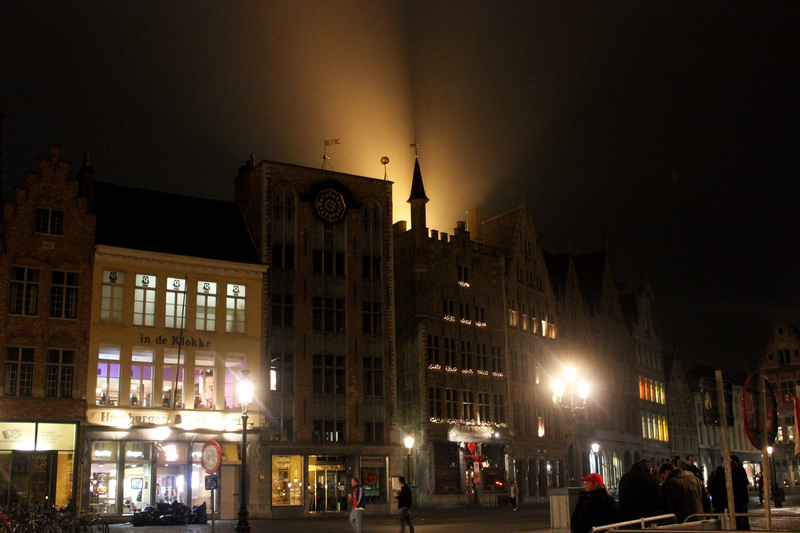 This entry was posted in Belgium, Bruges and tagged belfort, belfry, belgium, bruges, brugge, burg, europe, markt, travel, west flanders by Babak Haghighi. Bookmark the permalink.